From Gray, Georgia, take Highway 11, just past Bradley. Turn left onto Round Oak Road. 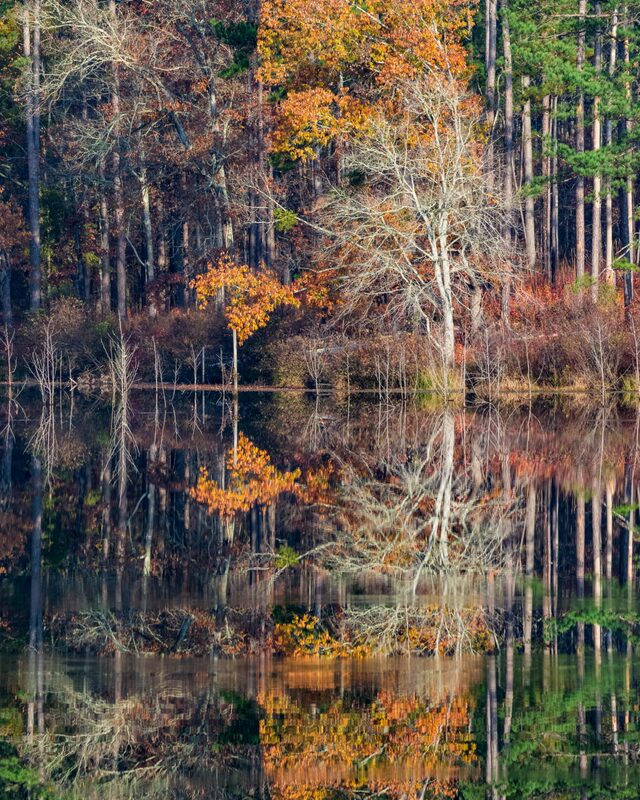 Trees are reflected onto Allison Lake, located in Piedmont National Wildlife Reserve.